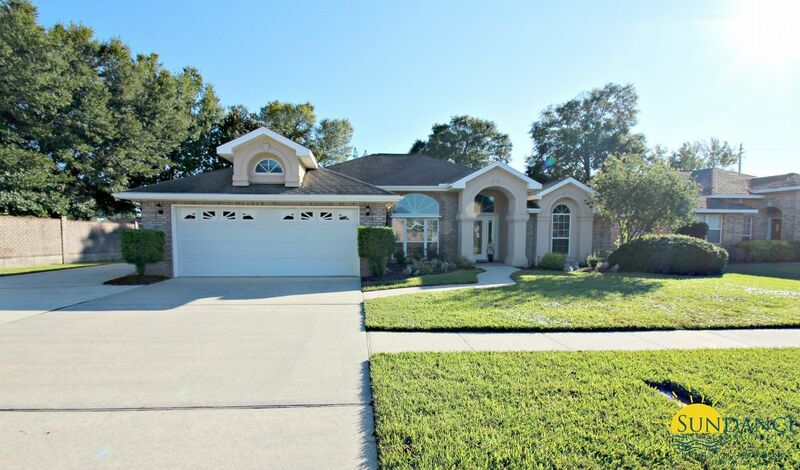 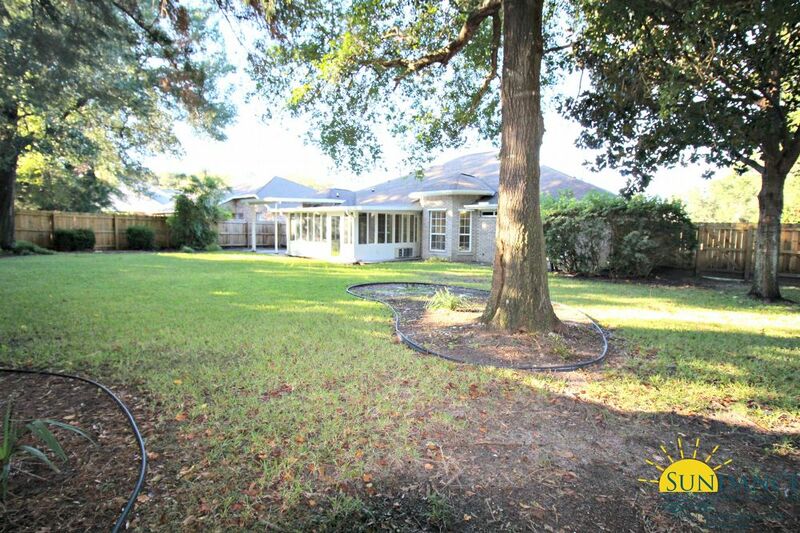 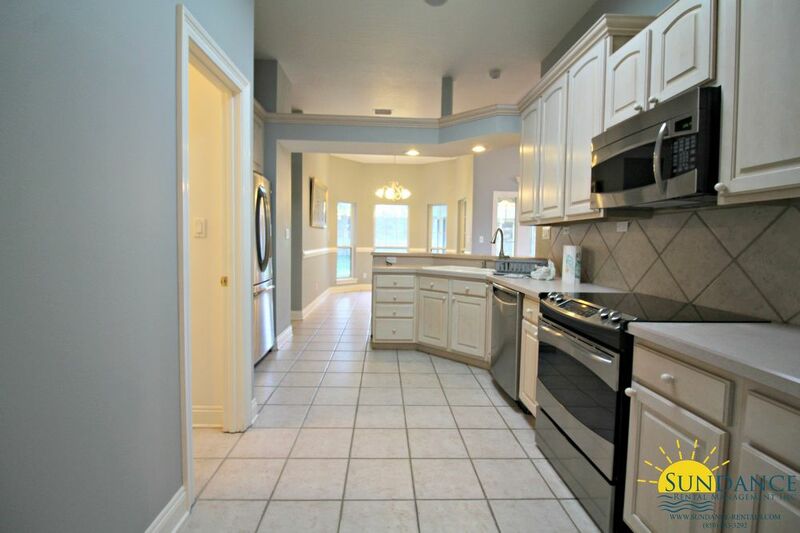 Located centrally in Fort Walton Beach this stunning 4 bedroom, 2.5 bathroom home offers an attached over-sized garage with a great work area and cabinets for storage along with ample driveway parking. 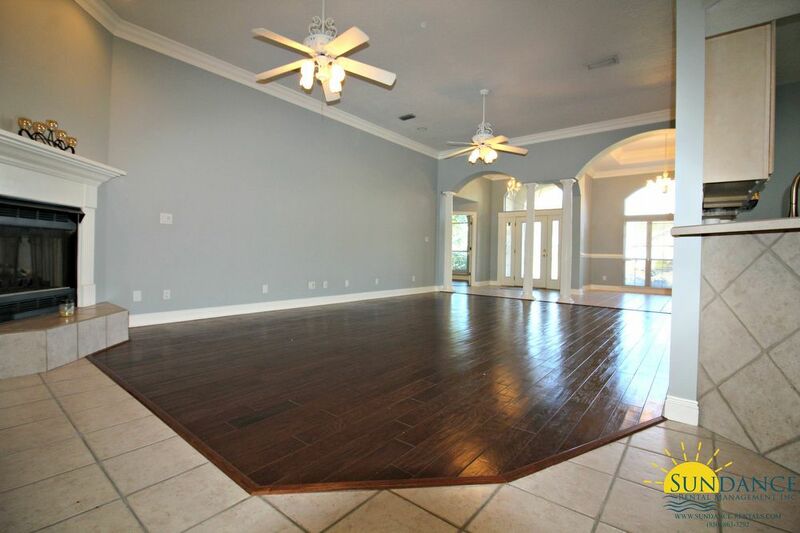 The interior is absolutely breath taking with it’s cathedral ceilings, beautiful flooring and nice open feel. 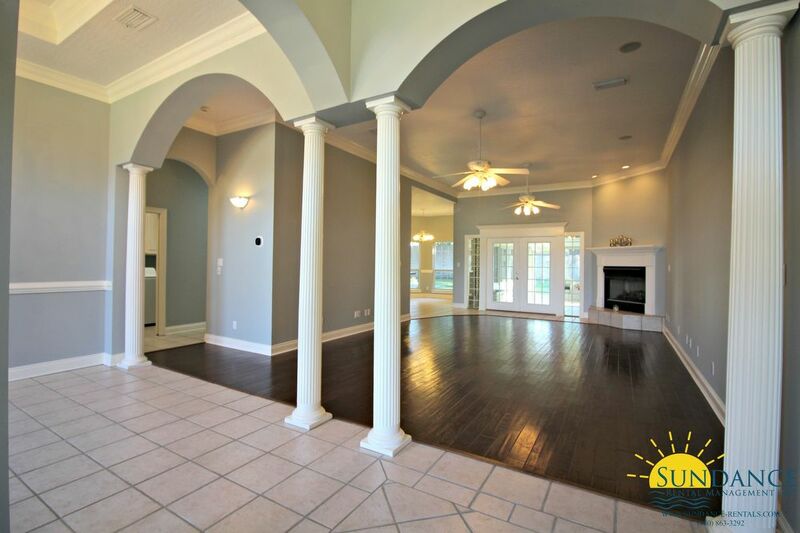 The formal dining room has beautiful architectural columns and a large window allowing natural light to fill the room. 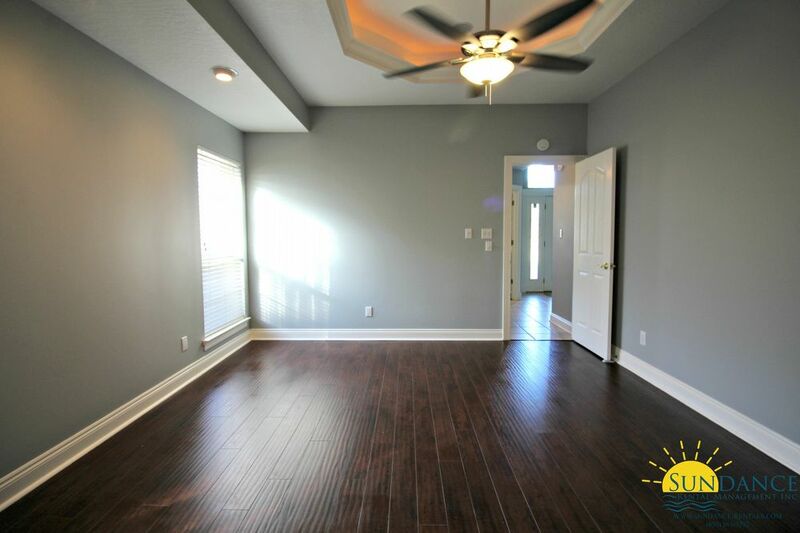 A cozy gas fireplace and dual ceiling fans make the spacious living room a great place to relax. 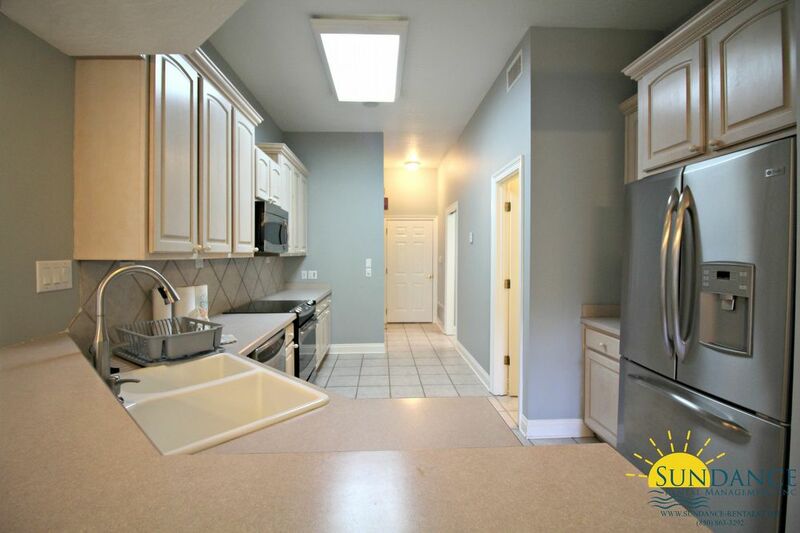 The full eat-in kitchen boasts stainless appliances, pantry, breakfast bar and plenty of cabinet and counter space. 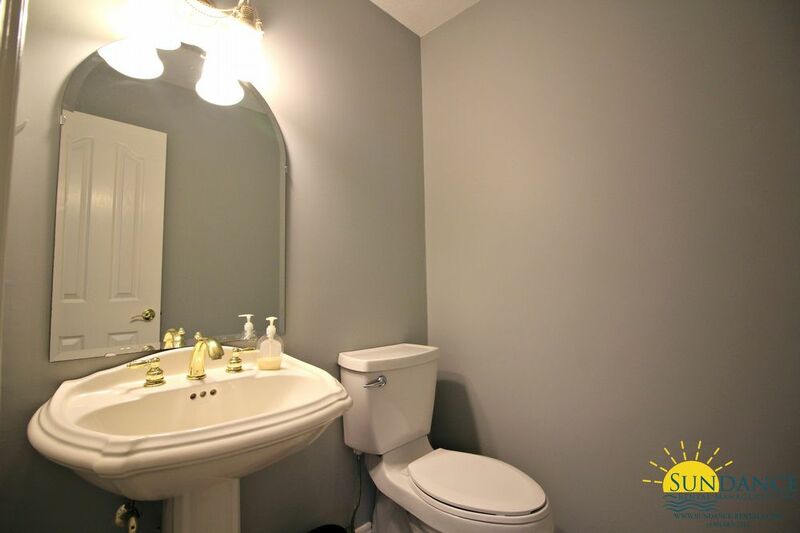 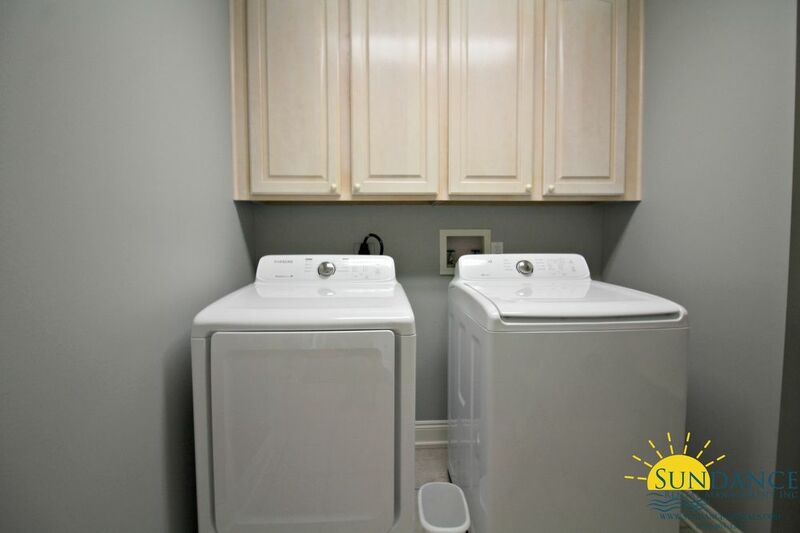 Located just off of the kitchen the laundry room includes a washer and dryer along with a deep sink. 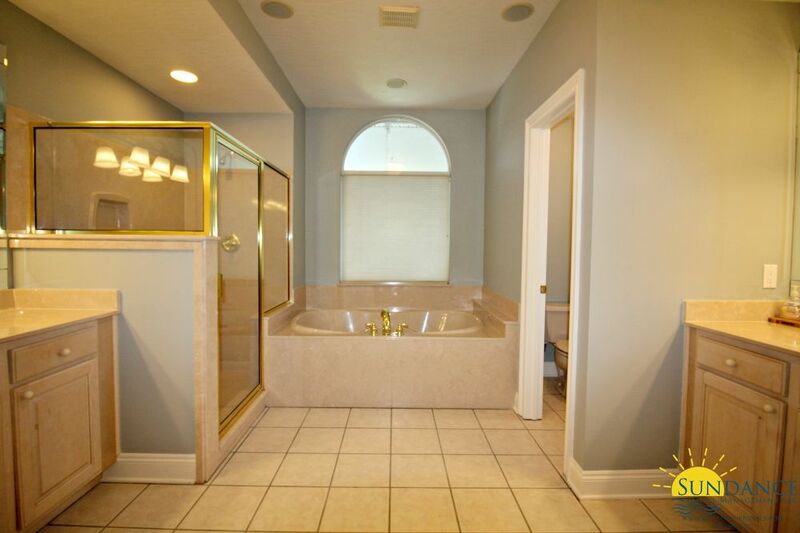 The master suite offers plenty of privacy located on the opposite side of the home; with it’s his and hers walk-in closets, garden tub, his and hers vanities and stall shower this master suite will not disappoint. 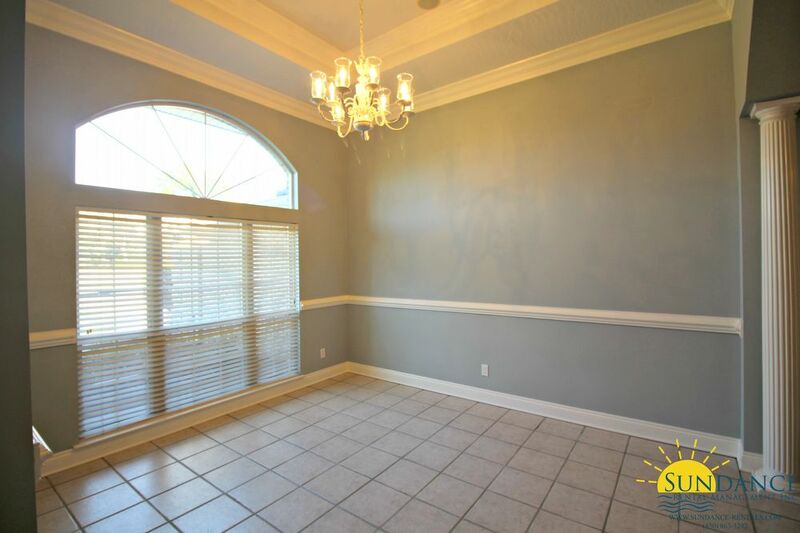 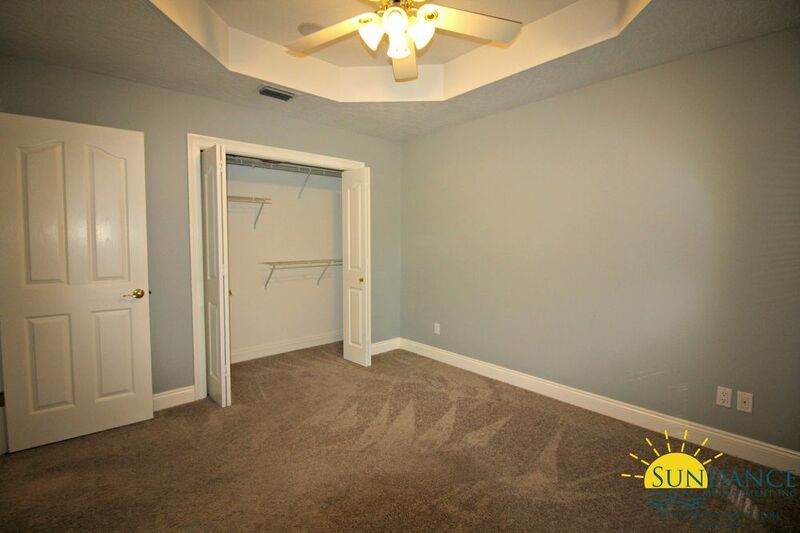 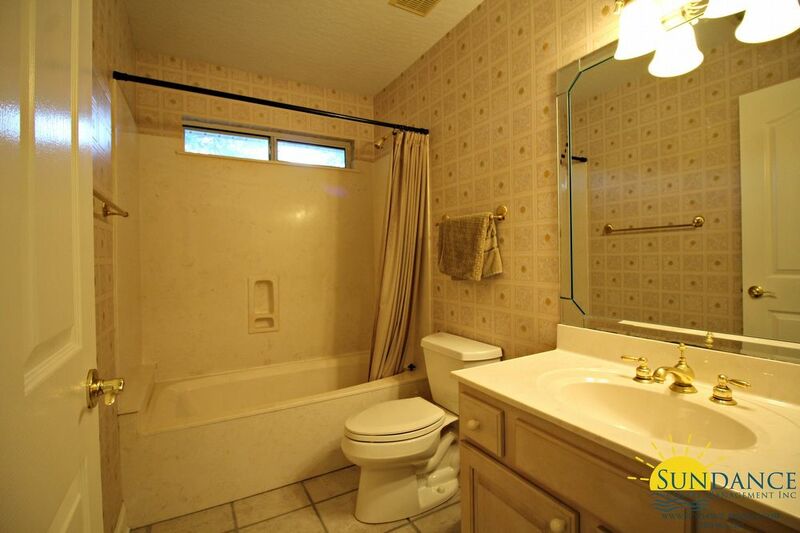 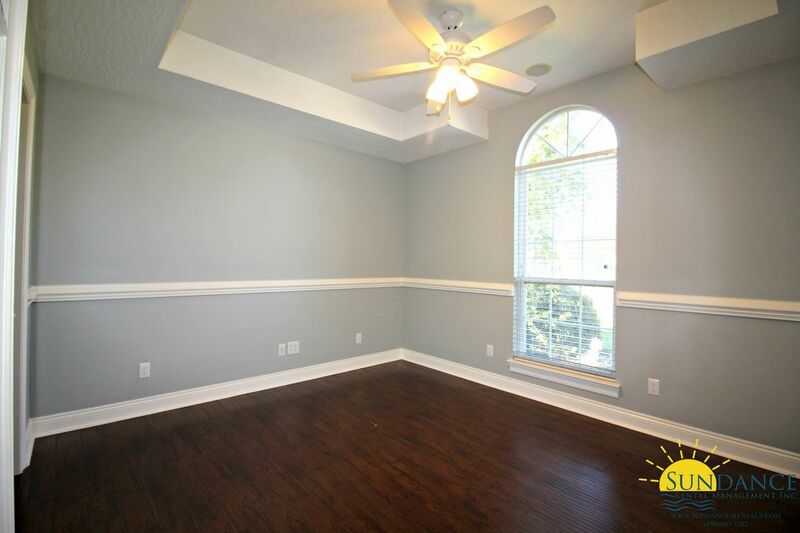 Two additional nice sized carpeted bedrooms each with beautiful trayed ceilings, another full bathroom, a half bathroom and a bonus room that can be used as a forth bedroom or a study all add to the charm of this spacious home. 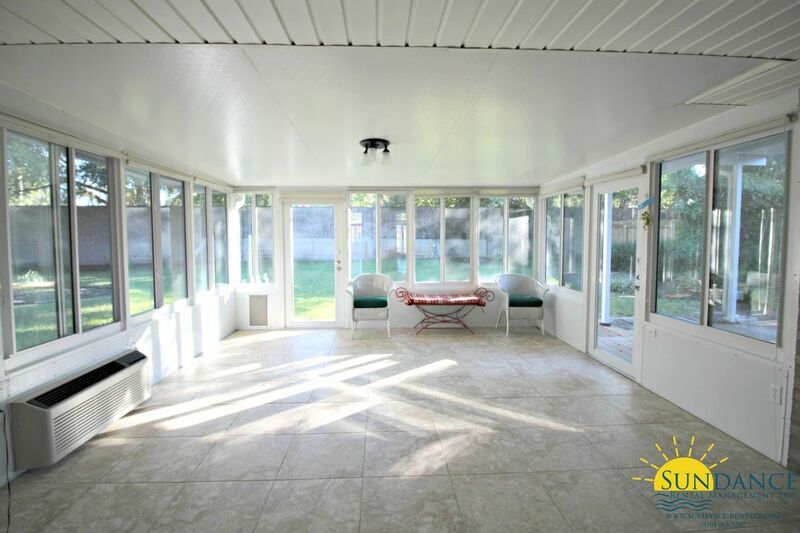 A surround sound system (as-is), alarm system (as-is) and natural gas generator are all included. 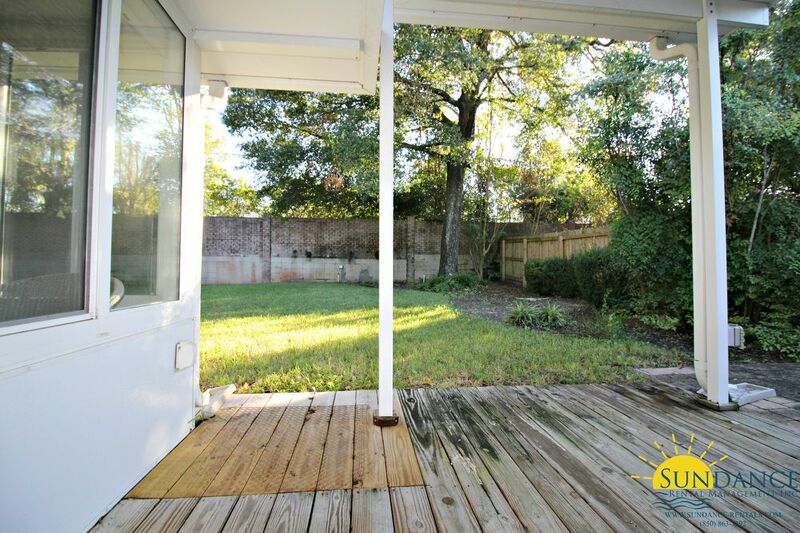 Outside you will enjoy a gorgeous fully fenced in yard with a covered patio just outside of the enclosed porch which offers it’s own A/C unit (as-is). 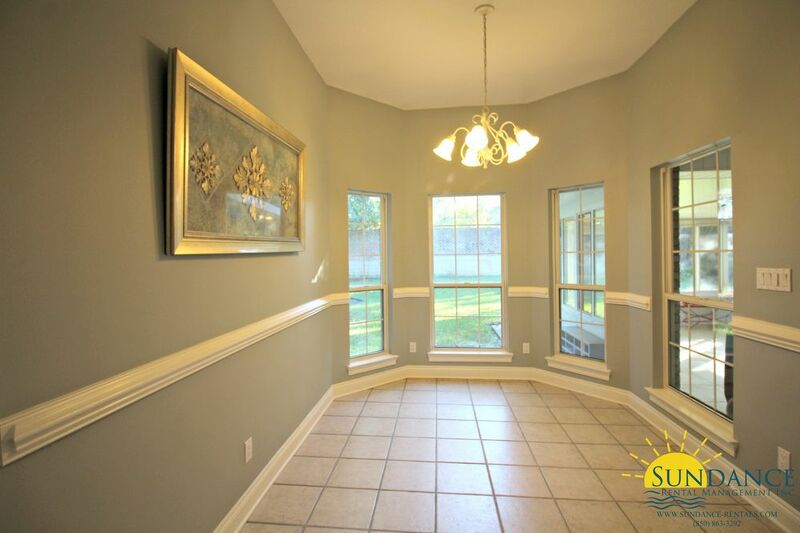 You will also enjoy deeded water and dock access. 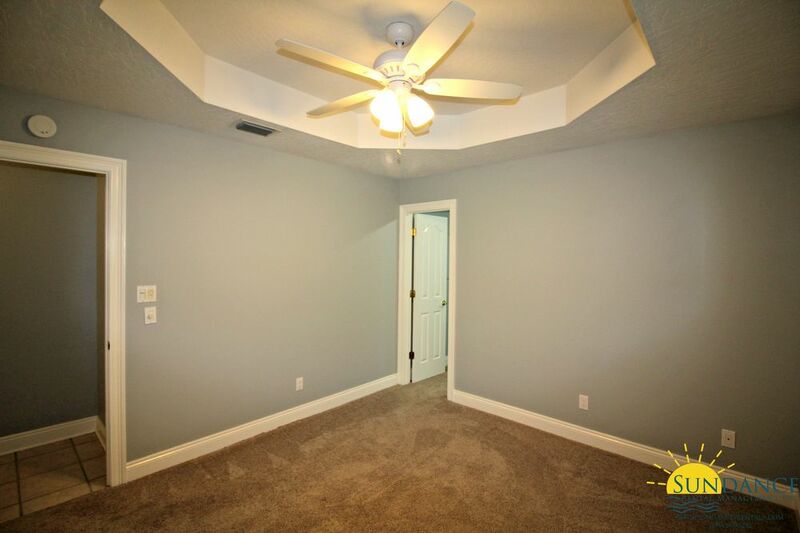 One small pet (no cats) may be accepted upon owner approval with a non-refundable pet fee.